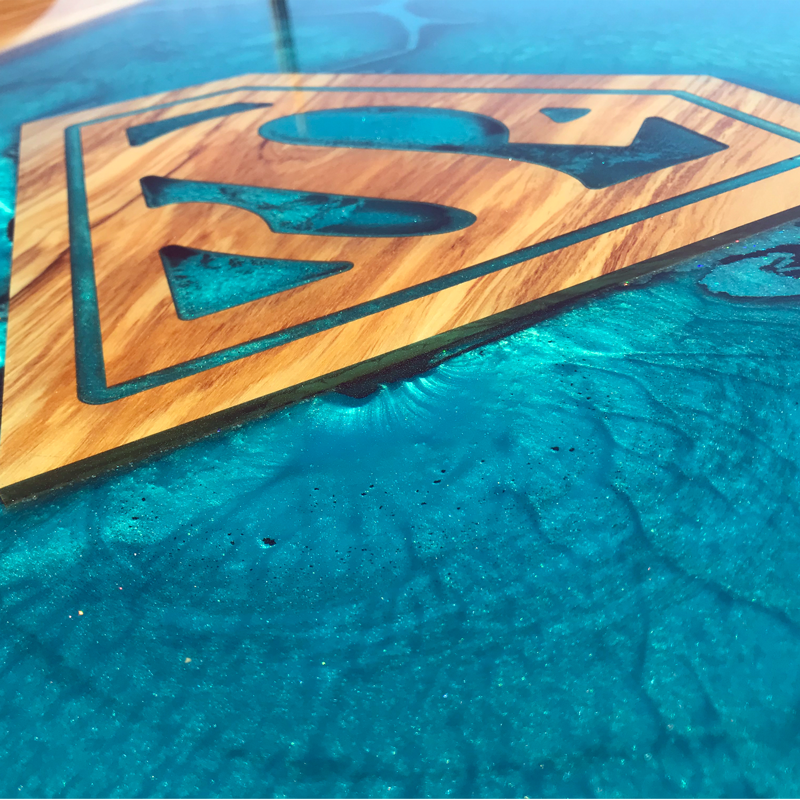 Catalogue | River Tables | Past River Table Projects | Olive Wood & Resin River Dining Table - Superman! 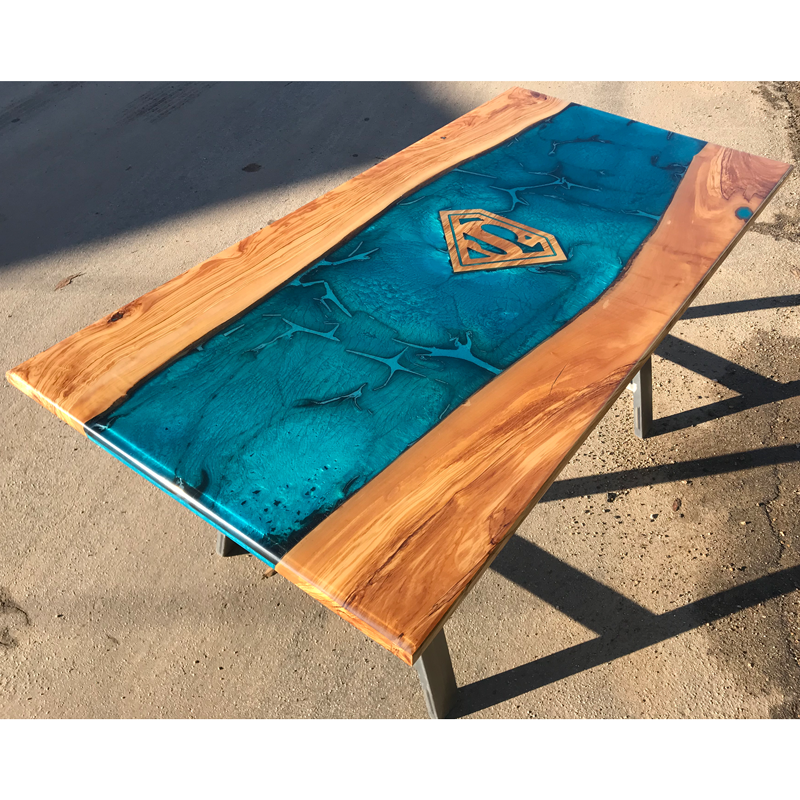 | Olive Wood & Resin River Dining Table - Superman! 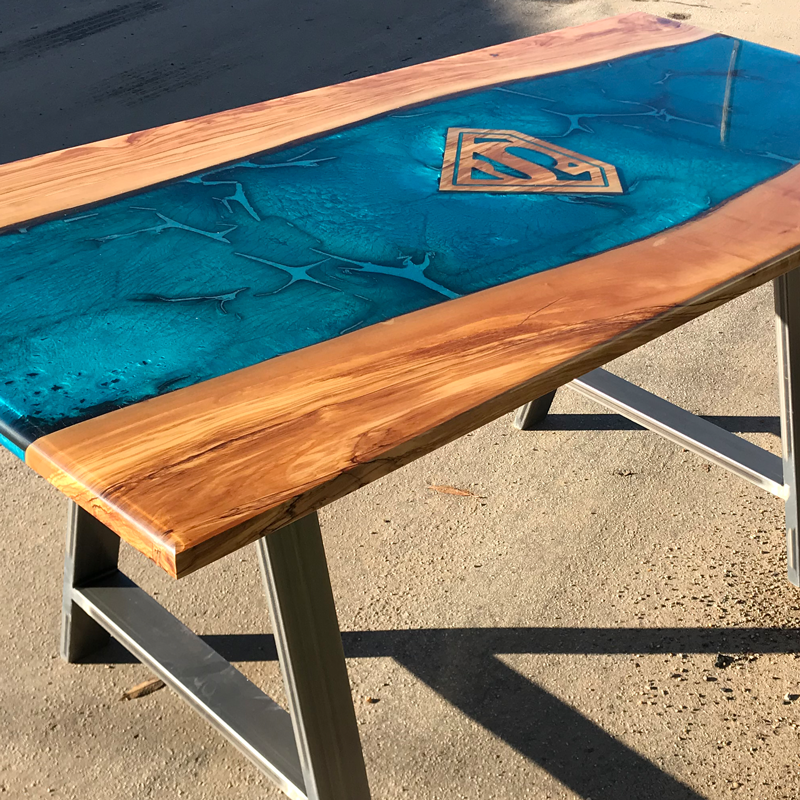 Olive Wood & Resin River Dining Table - Superman! An unusual but amazing commission! 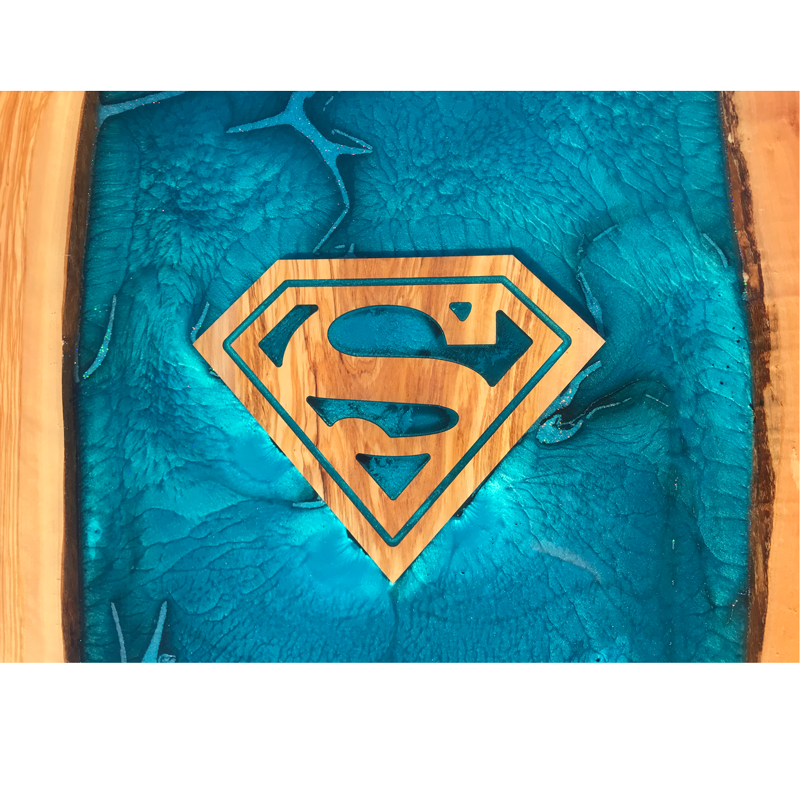 Olive wood slabs were carefully selected, with a matching olive Superman logo set into the stunning blue resin work. If you have an idea that you would like to bring to life, please contact us!